Panama emerges as the country with the highest level of well-being in the 2014 Country Well-Being Rankings report, which surveys citizens in 145 countries and territories on five elements of well-being – purpose, social, financial, community and physical – and ranks countries based on the proportion of the population who say they are “thriving” in three or more of them. Panama has 53% of people believing they are thriving in at least three of the categories. 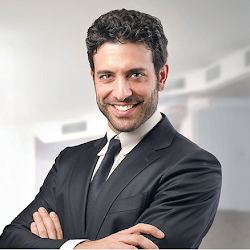 Other countries in the Americas dominate the top of the rankings, with Costa Rica and Puerto Rico in second and third places respectively. 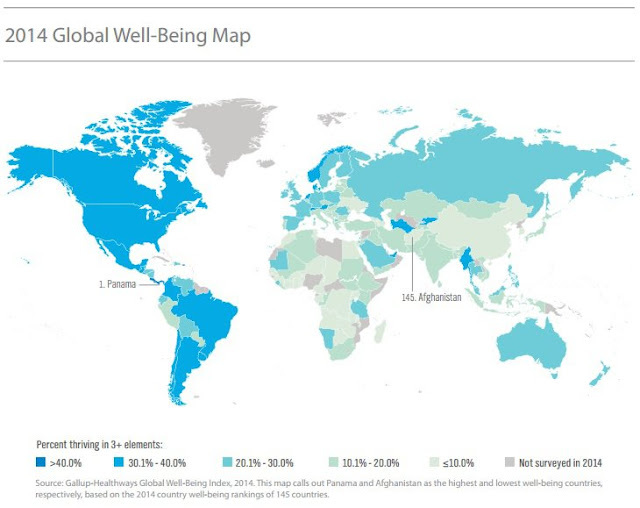 Afghanistan ranks last with 0% of people thriving in three elements of well-being, followed by Bhutan and Cameroon.